Demystifying meditation for the modern world: an accessible and practical route to improved health, happiness and well being, in as little as 10 minutes. Andy Puddicombe, founder of the celebrated Headspace, is on a mission: to get people to take 10 minutes out of their day to sit in the now. Here he shares his simple to learn, but highly effective techniques of meditation. * Achieve new levels of calm and fulfilment. 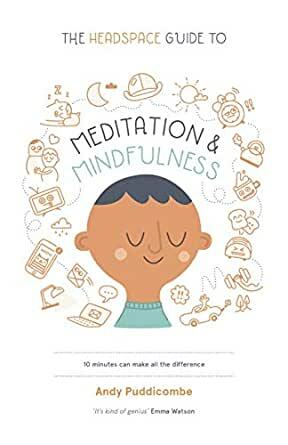 The benefits of mindfulness and meditation are well documented and here Andy brings this ancient practice into the modern world, tailor made for the most time starved among us. First published as Get Some Headspace, this reissue shows you how just 10 minutes of mediation per day can bring about life changing results. Good book. In my case it was an addition to the headspace app. A bit more background amd context is what you get from the book.